After a long beautiful (busy) Sunday you may not want to OR... have the energy to cook…so why not order from "Pizza Shop"!! 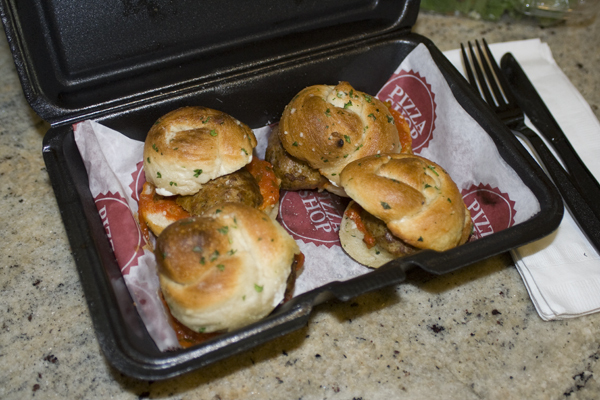 Pizza Shop is one of my favorite spots not only for great pizza, but for wings, salad and the heavenly meatball sliders…YUMMY!!! Pizza Shop is owned by the Cosimo's family who run some great restaurants in the area. They are located on South Water Street in Newburgh, and Route 9 in Fishkill. The Newbrugh location is great because it's in the old West Shore Train Station (also home to the Railroad Playhouse). It has great views of the river and if you're a train enthusiast there are a constant stream of freight trains passing through just behind the building. So hop on over to one of the 2 locations or have some conveniently delivered…Pizza Shop does not disappoint!!! Some of my favs are the meatball sliders (mentioned above-see pics below), Walnut Gorgonzola Salad, Chipolte Glazed Wings, and every single pizza they have. 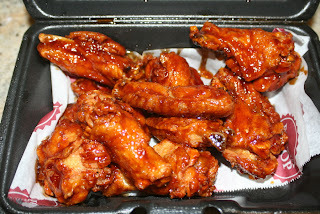 Chipolte Glazed Wings...Best Wings Ever!! 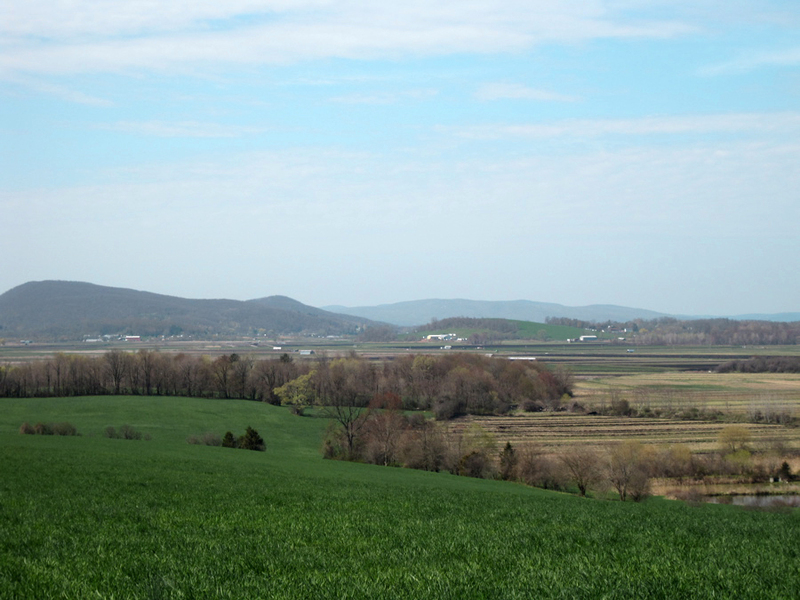 Out and about on a photo assignment yesterday I drove past this beautiful vista in Goshen, NY...needless to say I turned myself around and marveled at this sight for a bit. 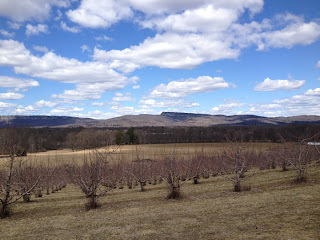 So fresh, so beautiful, so Hudson Valley!! Enjoy. 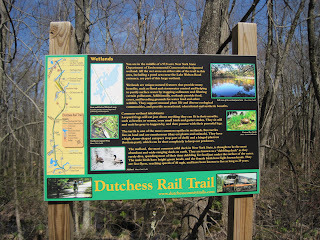 What a beautiful day to ride the Dutchess Rail Trail! 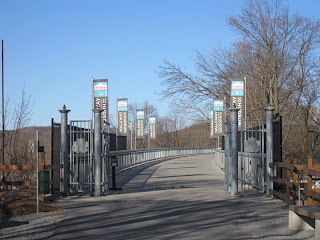 As Spring is unfolding, we once again set out to explore another of Hudson Valley's amazing bicycle & walking trails. 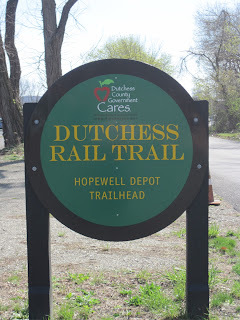 The Dutchess Rail Trail runs from Hopewell Junction to Poughkeepsie in 2 segments. Our ride started at the Hopewell Depot trailhead and it was fantastic. 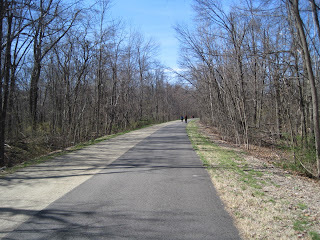 There are two things that I love about this trail. 1) IT'S PAVED! A nice treat from our usual gravel or dirt trails that we usually ride and 2) It's surrounded by nature…and I love that. 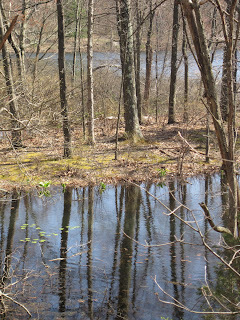 I found myself stopping frequently along the way because of the abundance of interesting plant specimens in the watershed area as well as the great aquatic life bustling about in Lake Walton. 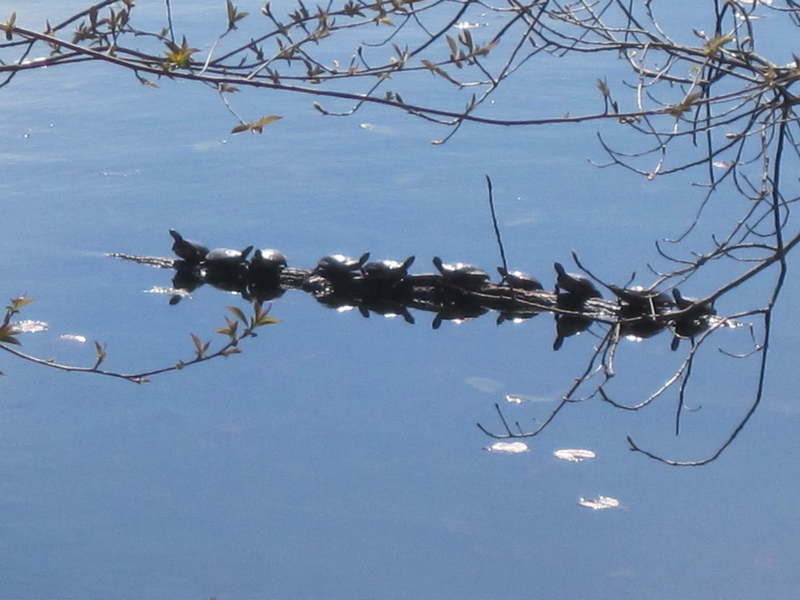 I love when turtles sun themselves…just sayin! 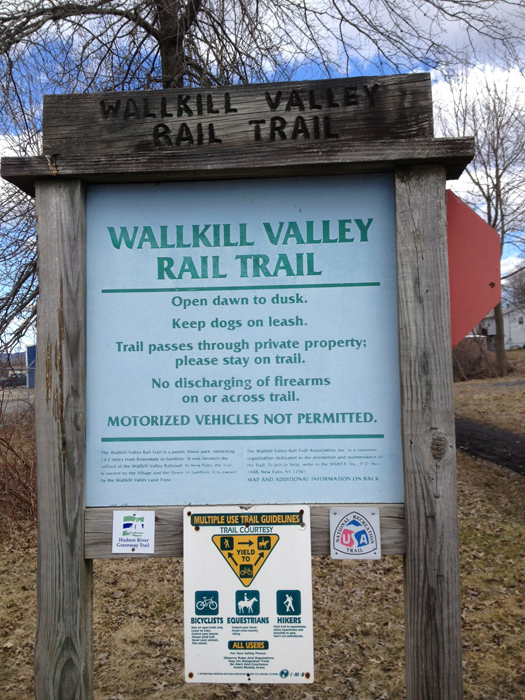 The trail is for pedestrians, dogs and bicyclists only…no horses here but you do pass some farms. 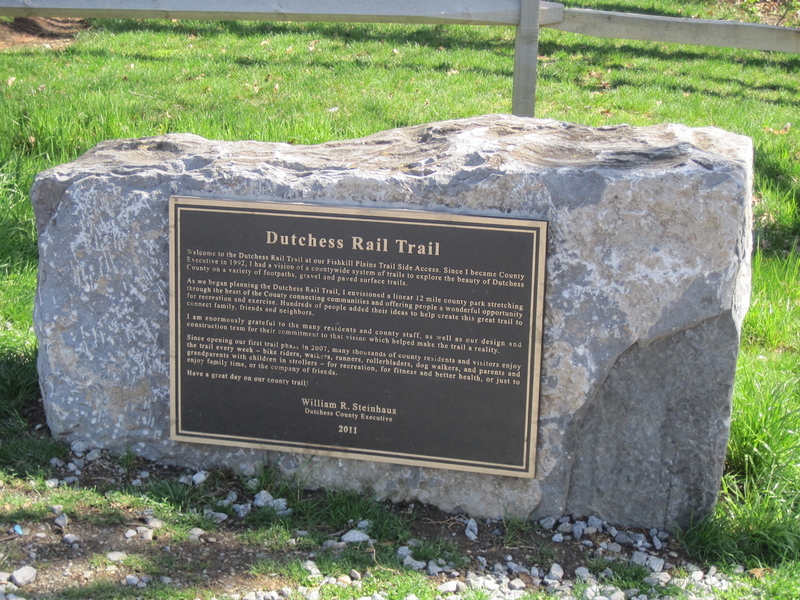 The trail is clean as a whistle and is also lined with dedicated benches…great for a picnic lunch. Many spots have the lanes marked and visitors are generally aware of the foot and bicycle traffic and know the trail etiquette! There are multiple trailheads and parking along the way for easy access. Once again, for tracking our exercise for the day we us a combination of our fitbit and runtastic mountainbike apps. The app is great for keeping a history of your rides as well as miles/mph, elevation etc… The fitbit I wear every day no matter what I'm doing. What's great about these tools is you can connect with friends or family for a little motivation and competitive spirit…keeps you on your toes. 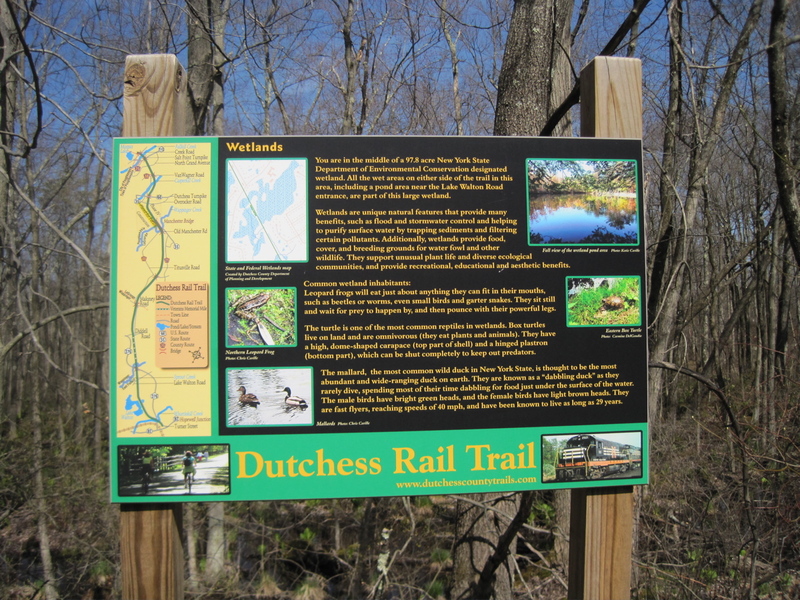 Anyway…back to the trail…Our next ride on the Dutchess Rail Trail we will do the Poughkeepsie portion…so stay tuned for info. Get outside and take a walk with family or a ride on this beautiful Rail Trail…it does not disappoint!! Enjoy! 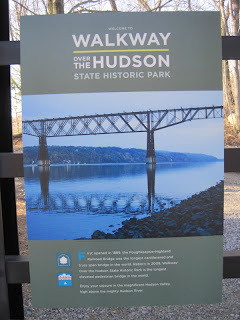 Some links & Pics to learn more about this beautiful Hudson Valley treat! A little bit Country, a little bit Rock-n-Roll! Yes! The ambiance is a mix of raw factory, rustic flair and modern elegance, designed by renowned architects The Rockwell Group who also designed W New York Union Square and Canyon Ranch Hotel & Spa in Miami Beach among many more. Read about them here. The restaurant is called Swift, and serves fresh seasonal dishes from Executive Chef Brandon Collins. I was thrilled with my perfectly prepared scallops! Our entire meal at Swift was memorable...we are surely going to bring everyone here. The dining room has floor to ceiling windows that overlook the falls. Beautiful in summer but the Falls are at their height in the Spring. The patrons are a large mix from young "Hipster" types to business, family and couples…just about everyone! The al fresco patio bar is open in the summer and provides a beautiful setting for a meal. The lounge at the Roundhouse is called 2EM and serves smaller "Bar Food" plates and cocktails. 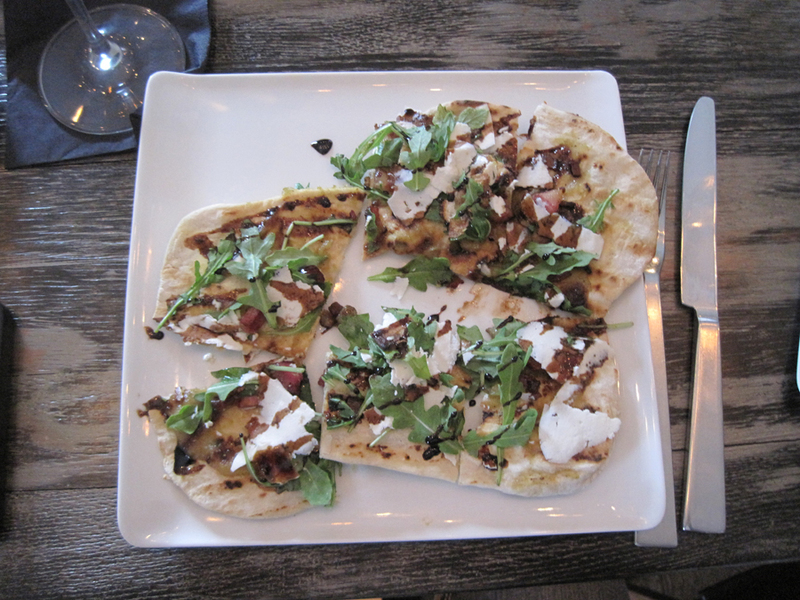 I think I've tried everything on this menu…soooo good! 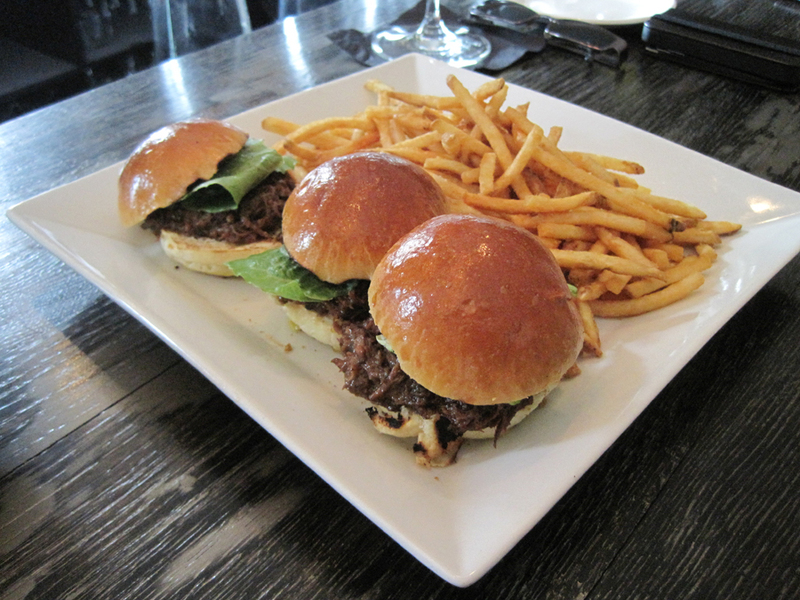 Try the Short Rib Sliders…holy moly or the Stuffed Pretzels! The lounge is great for a cocktail with friends or a smaller dinner at the bar. Besides bar seating, there are a good amount of tables and my favorite is the warm fireplace flanked by comfy chairs. Say hi to Tim the bartender "Mixologist" he's the best! The banquet facility is beautiful for community events, fundraisers and Weddings. Guests and wedding parties can even stay in the boutique hotel. There are lighted walkways that lead from the main building to the hall with spectacular views of the creek and falls. 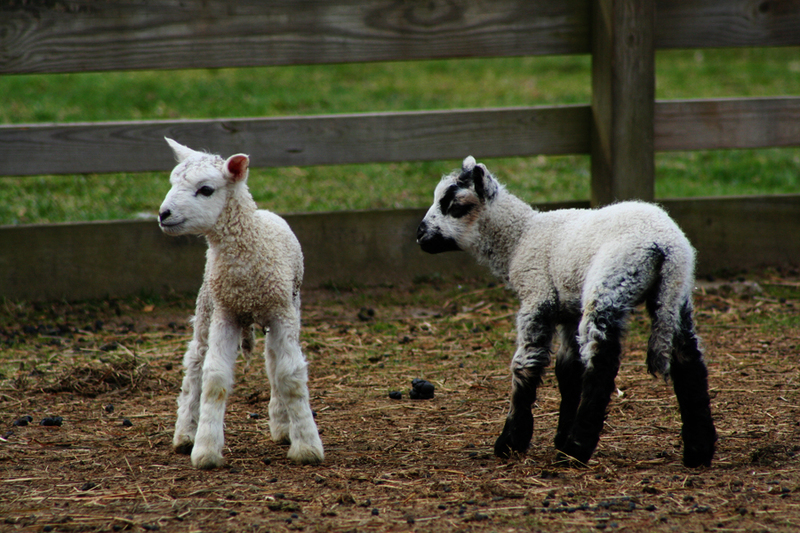 The Roundhouse is the perfect spot for a romantic dinner or a weekend getaway from NYC. It's location is in close proximity to downtown Beacon…perfect for shopping, exploring and visiting DIA. Enjoy! Roundhouse at Beacon Falls | Beacon, NY from Hudson Valley Love on Vimeo. Another great shot of the river and bridge sent by my brother. Enjoy! 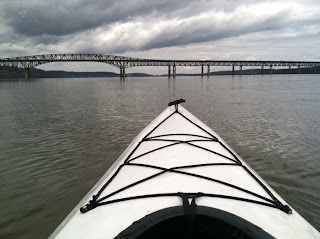 View of Newburgh-Beacon Bridge from Kayak. 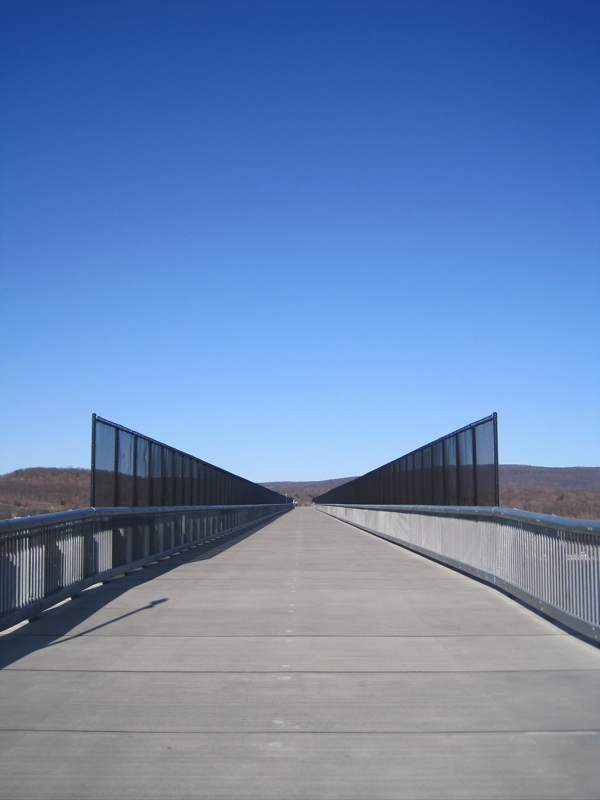 Well if you haven't made it up to the "Walkway" it's time! Our first time on the walkway really blew me away. It's beautiful!! 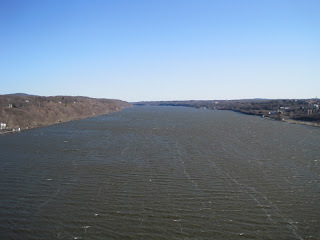 I can't wait to spend many more days strolling and admiring the views of the Hudson River that I love so very much. It's a great place to clear your mind and remember the beautiful things in your life. 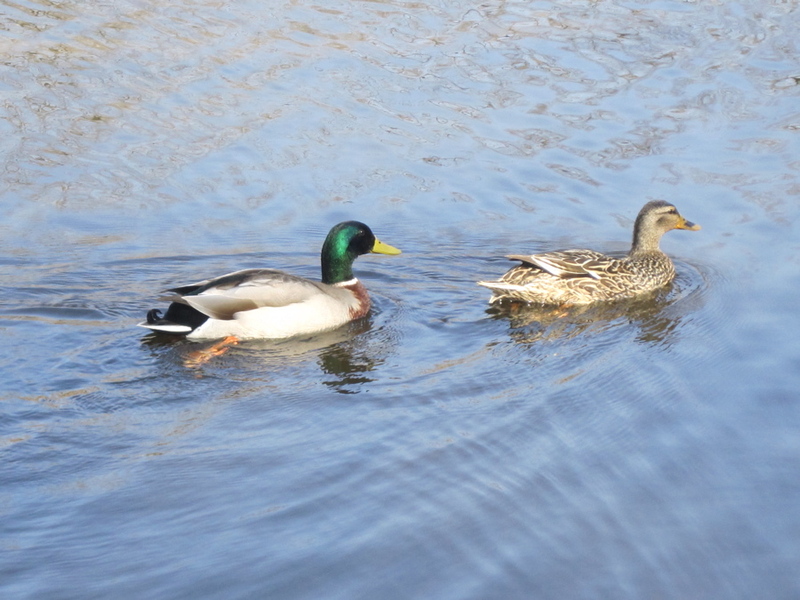 The park is open almost year round (weather permitting) from sunrise to sunset and hosts many seasonable events. We enjoy early morning walks and biking, but on a beautiful day you must linger and absorb the stunning views of the River. The Walkway is 1.28 miles long one way. 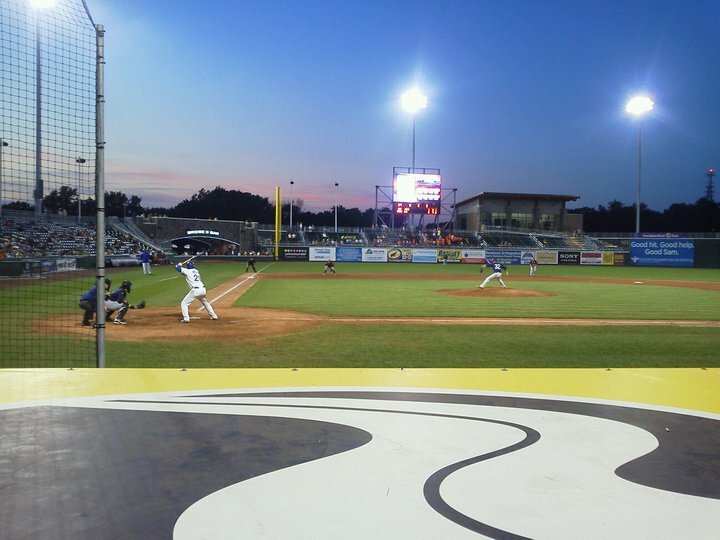 There are bathrooms, food concessions, and ample parking on both sides. There is no entry fee but you can show your appreciation by contributing any size donation into the mid-way donation container, or visit www.walkway.org to become a member, donate, or find out information on how to get involved with the organization. 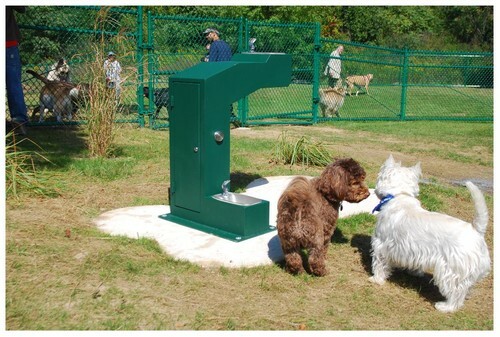 April 20th: "Dog Walk & Rescue Day" visit here for info. Links for your information pleasure, Enjoy! Amazing view of a storm brewing over the Hudson River. 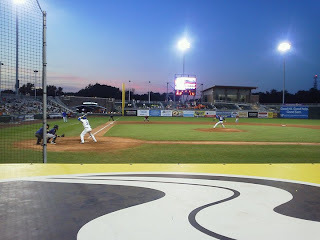 This photo was taken by our dear friend Lisa King. Enjoy! 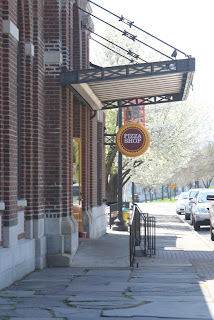 As the craft brewery trend continues in NY State, I have to give you the lowdown on one of my favorite spots in the Hudson Valley, the Newburgh Brewing Company. What a wonderful place!!! 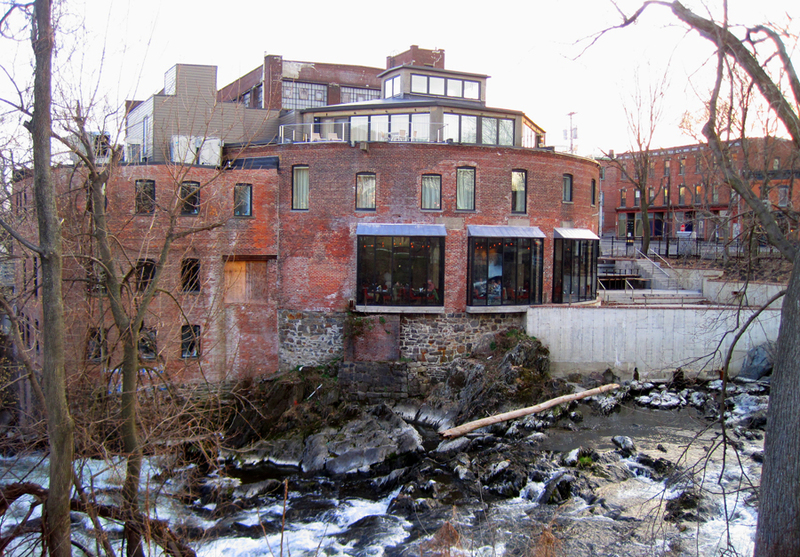 The brewery and taproom are located at 88 South Colden Street in an old, beautifully converted warehouse just behind Washington's Headquarter's historical site. 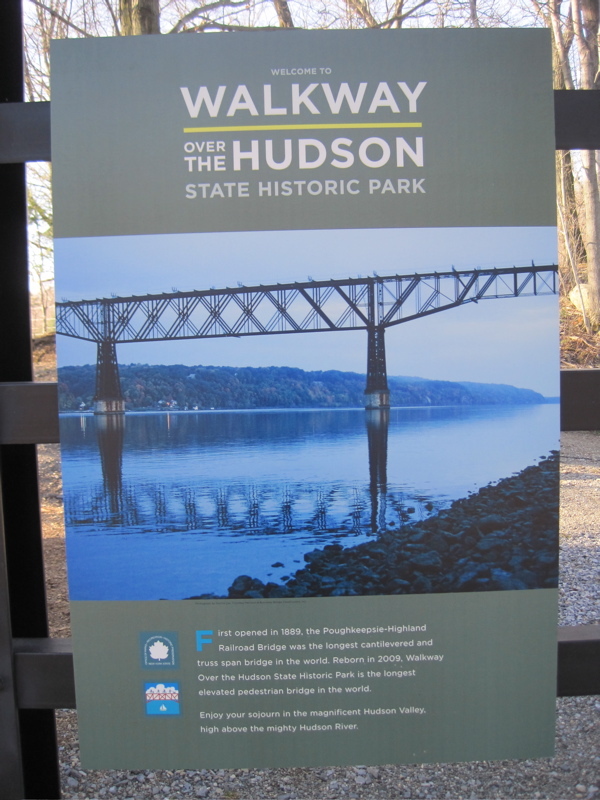 It is the finely crafted brainchild of Christopher Basso and Paul Halayko, both Hudson Valley natives and childhood friends. 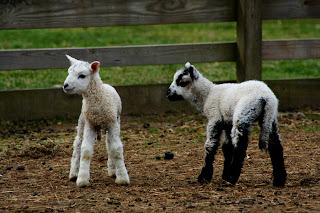 (Learn more about them here). NBC launched their beer line on April 19, 2012 and can be found in many regional bars & pubs, but was initially introduced at The Wherehouse in Newburgh, NY (Read my review here). The 1 year anniversary will also be celebrated at The Wherehouse on April, 18th 2013…mark your calendars. Happy Anniversary! 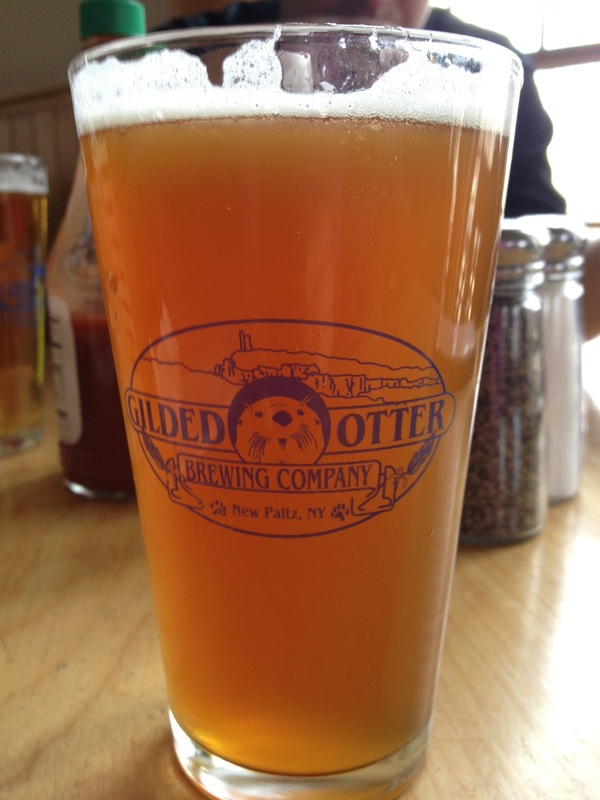 Now to the important stuff….THE BEER! The beer is soooo very good! My favorite is the Cream Ale, but I enjoy tasting them all…and that can't be said for many craft beers. The brewery's philosophy is about enjoying sessional beers so many have a lower alcohol content (4.2% good for me :) to enjoy more over longer periods of time. They do have a few that are higher (view full on-tap list here). Some of my other favs are the Brown Ale and the Peat Smoked Stout. 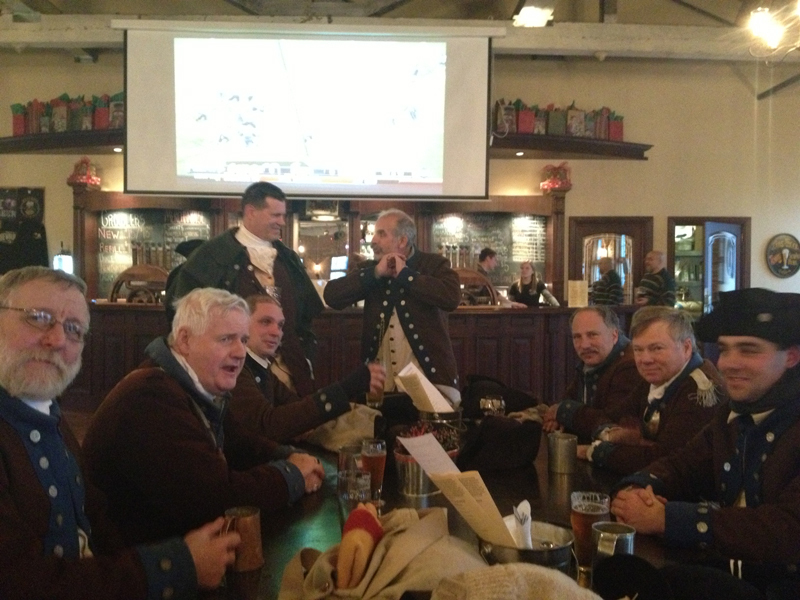 The best part about the brewery other than the beer is the friendly atmosphere. The taproom is a large beautiful room with communal tables, similar to what you would find at a German beer garden. There's a packed shelf of board games, video games, large projector screen, table tennis and they even have corn hole YAY! FUN! They support local causes and hold events in the taproom. You can book your event there too. 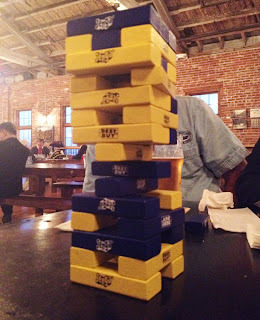 It's really so much fun to sit with your beer and play Jenga or Trivial Pursuit with your friends and family…yes…your entire family! NBC is great for kids too (and babies). They have great live music on weekends and Wed. is trivia night. Visit their site for complete hours. You can even book a tour of the brewery Saturdays before 5pm. The brewery serves food on the weekends and it's soooo good! 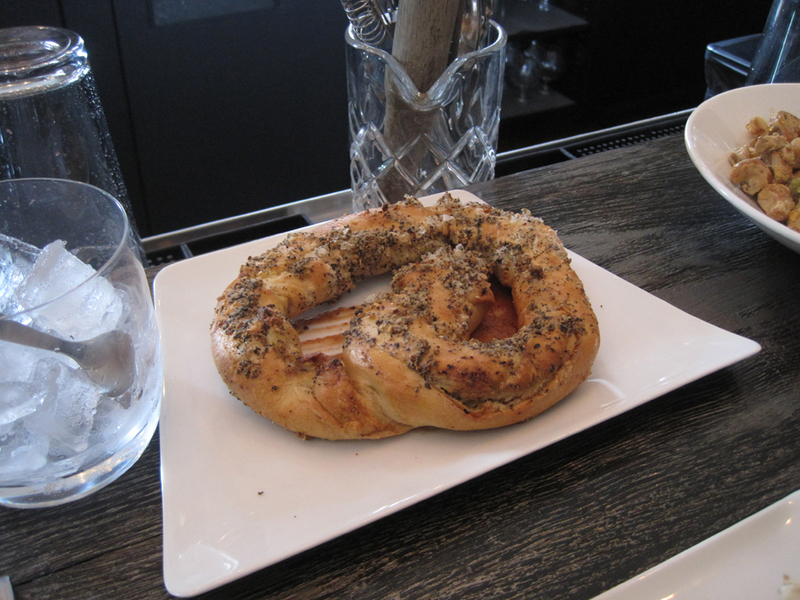 Try the rosemary garlic fries…out of this world! The food served is sourced locally when possible. On trivia nights they supply tables with take-out menus from area eateries that deliver directly to the brewery. New this Spring/Summer on Wednesday evenings you can find the Kosiner Brothers Hot Dog Cart from New Paltz out front. They serve yummy hot dog creations including organic choices. 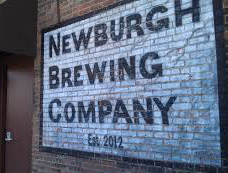 I guarantee you will have a great time at the Newburgh Brewing Company. Great beer, peeps, music, food, fun and a wonderful view of the Hudson River! Enjoy!! Don't forget to pick up a growler of beer to go, a cool poster and t-shirt…Of course I bought the Cream Ale poster!! (and a few growlers...hehe) and a few "I Love Beer" t-shirts for friends. 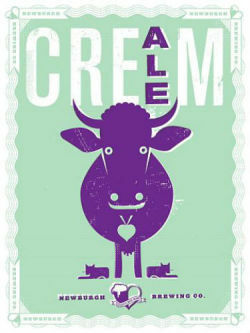 Cream Ale Poster...Yes I bought one!! Sometimes Washington's men drop over and break out in song! 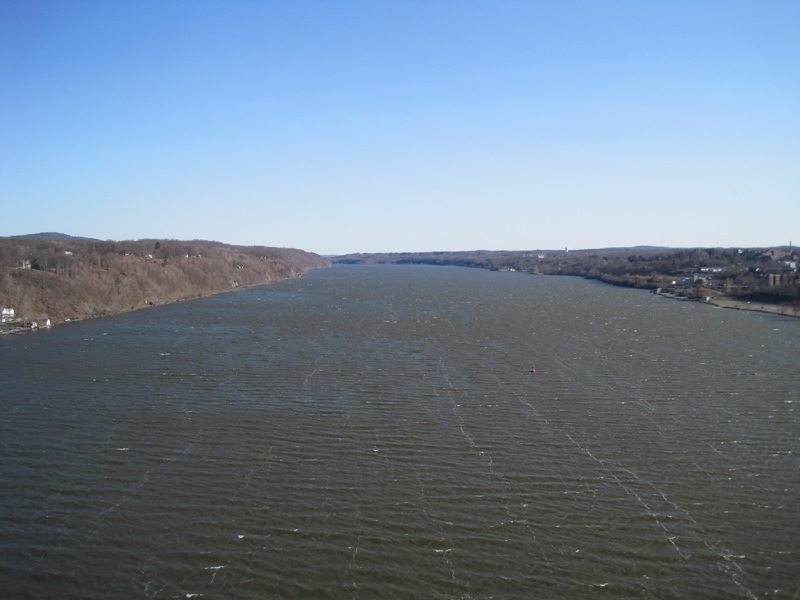 One of many views of the Hudson River, Newburgh. Ok...we don't have a dog yet...!!! But if we did, we would bring him/her to Thomas Bull Memorial Park in Montgomery, NY. What a great weekend ahead to explore this park. Besides the OFF-Leash dog run (YAY) this park is over 719 acres, the County System's largest Developed Park. This is Skippy, my Mom's pooch. He loves this park but he's afraid of the Horses. Additional Amenities include: 18 Hole Golf Course, Driving Range, Banquet Facility, Pro Shop, Tennis Courts, Boat House, Ball Fields, Horse Riding Area/Stables, 5-Acre Pond, Fishing, Winter Sports Area, Picnic Shelters, Picnic Tables, Benches, Exercise Area, Arboretum, Playgrounds, Volleyball Courts, Horseshoe Pits, Hill-Hold Historic Museum, Comfort Stations and Parking. Here are some links to explore! Enjoy your weekend. 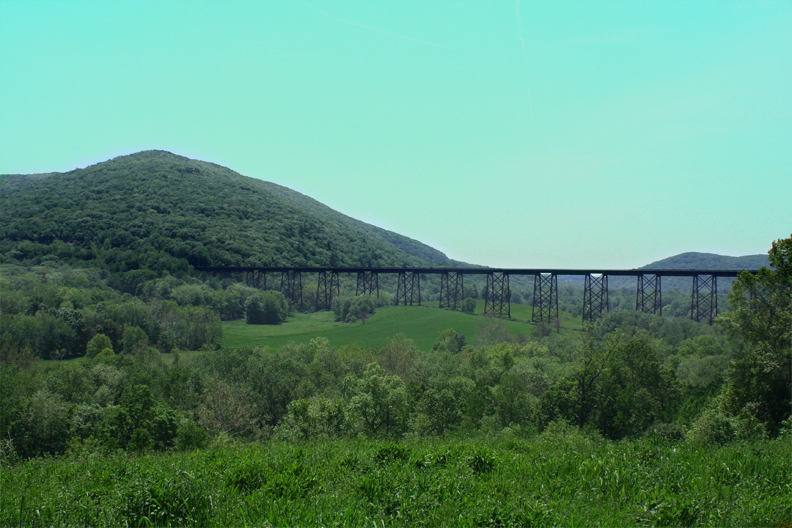 The Moodna Viaduct is a train trestle over Moodna Creek at the north end of Schunemunk Mountain in Cornwall, New York, near the village of Salisbury Mills. 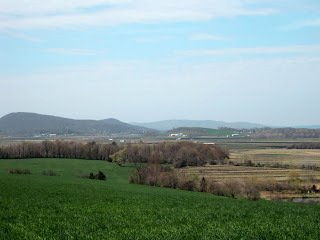 The Schunemunk Mountain Ridge Loop is a hiking trail that leads you through this beautiful area. If you go, you may recognize the "Three Trees" that were featured in the Feature Film Michael Clayton! 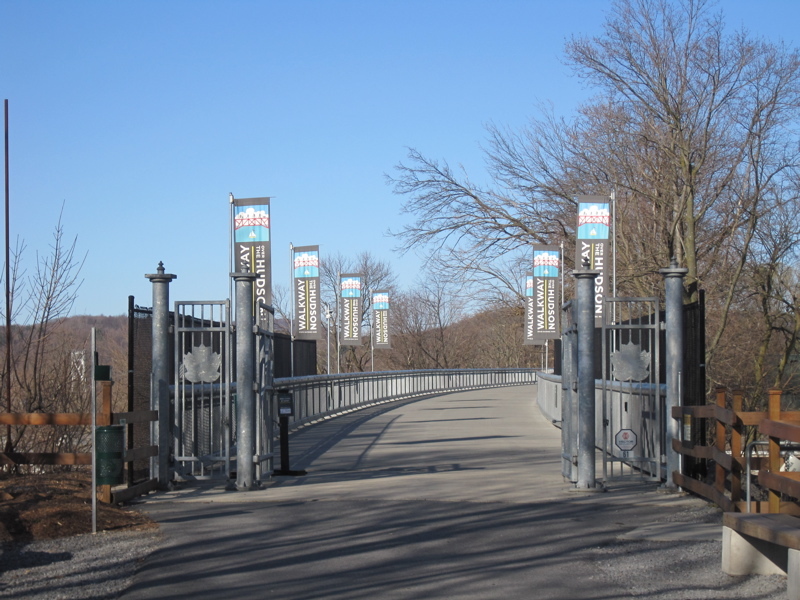 Go for a walk or a hike at the Viaduct...you may even spot the family of American Bald Eagles that live in this area. Enjoy! Now that our bikes are all freshened up, we were ready to hit the road, or dirt, and a little pavement! 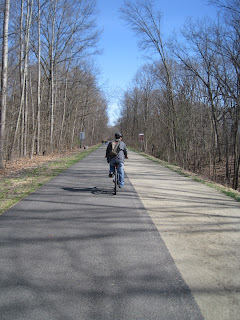 We love to ride our bikes and this year we were itching to get out the door so we decided to hit one of the many rail trails in the area. 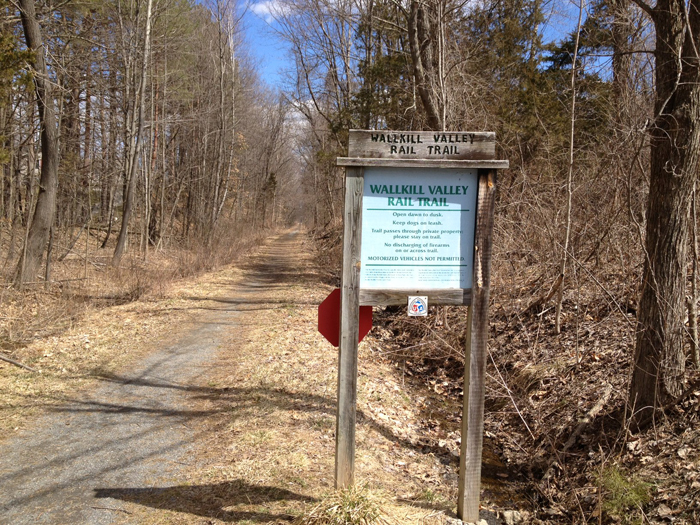 The Wallkill Valley Rail Trail runs from the south edge of Gardiner, NY to the north edge of New Paltz, NY. We decided to bike from Gardiner to New Paltz, have some lunch and bike back…what a great ride. 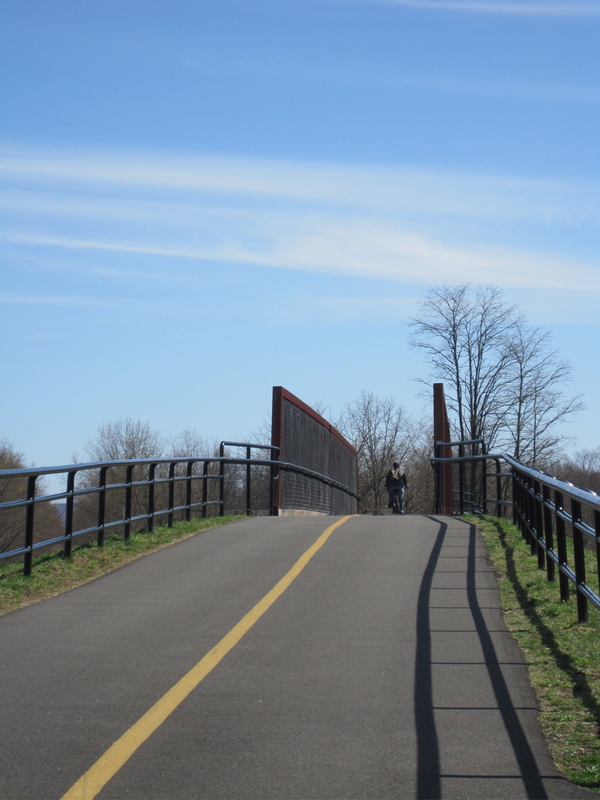 The trail is open dawn until dusk and allows biking, jogging/running, horseback riding and dogs. In the winter it's perfect for cross country skiing and snowshoers. It's a little over 12 miles of beauty! The views of the Gunks are remarkable and it's a very pensive kind of ride with only slight upgrades here and there. I had to keep stopping not because it was hard, but because the scenery is so beautiful I had to take pictures. 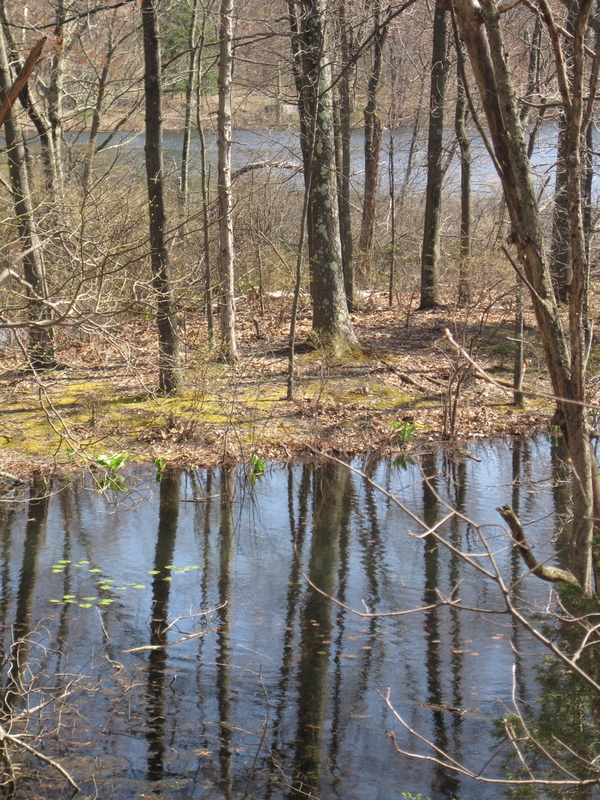 We can't wait for even warmer weather to ride it again when everything is green! 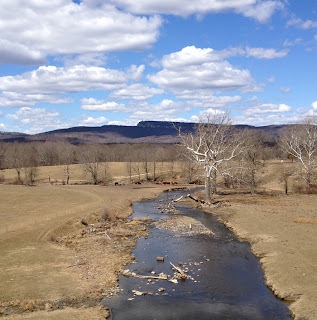 Of Note: We rode to New Paltz and had lunch. Next time I would start in New Paltz and do the full ride down to Gardiner and back and then have lunch. 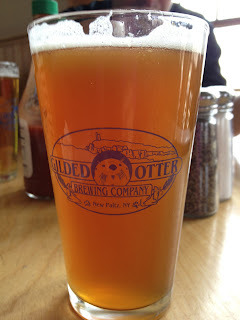 The "In between" lunch slowed us down a bit…I'm sure the beer didn't help….lol… We ate at The Gilded Otter (Good food and great beers to try). Take your camera: The scenery is beautiful and you are sure to see some great shots through the woods and many farms you ride through. 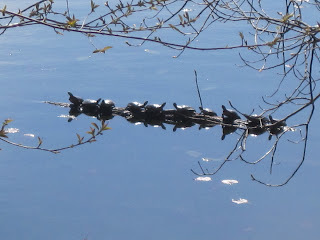 All forms of flora and fauna make for great pictures on this beautiful trail. Pack a lunch: Next time we ride we may pack a picnic lunch. There are a few stops along the way that are perfect for a small packed lunch or just a snack. 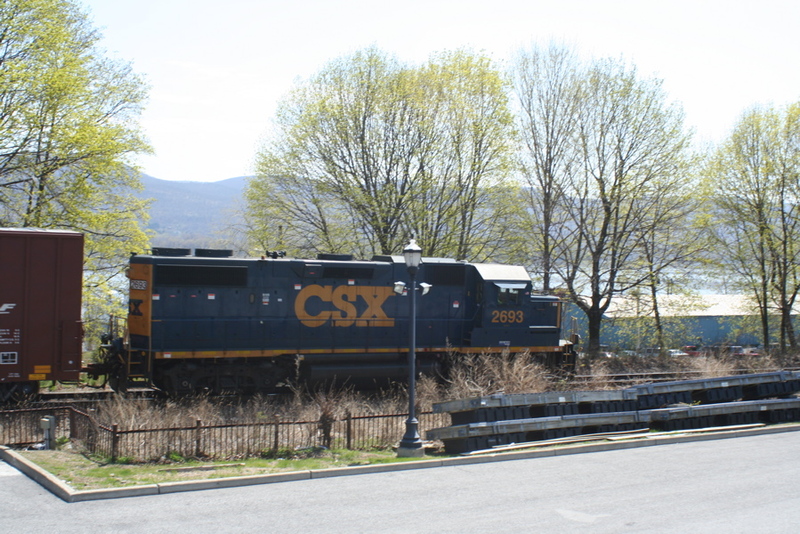 Learn more about the extensive and beautiful Rail Trails throughout the Hudson Valley, get outside with your family, grab some exercise and Enjoy The Ride!